Detoxing... its really is like spring cleaning for your insides. 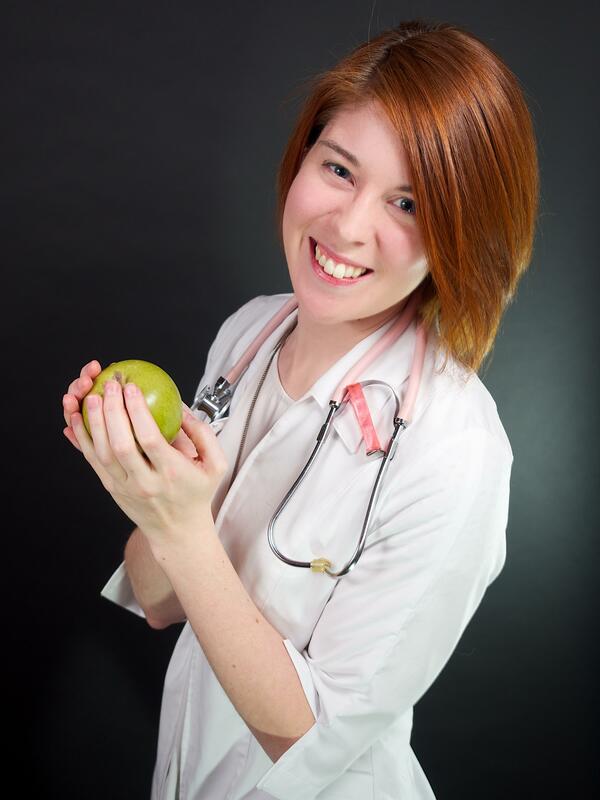 After years of helping my patients detox one on one I've created an online course to help more people give their health a quick re-set and get their energy back in 7 days - just like I did with my own first detox! In this post I am going to give you my top 5 strategies for making your next detox at home the most successful one yet. Without further adieu, here we go with my top 5 strategies for making your next detox easy-peasy! OK, so you don't just decide to detox yourself and change your whole diet this red hot second. I know we all looove instant gratification, but seriously. Detoxing IS a commitment. If you can't honor that, then maybe this isn't the right time for you to be detoxing. Getting prepped for a detox is pretty simple... take some time to review the dietary changes that you plan on making and wrap your head around 'em. Then gather your recipes and start in on meal planning. The number one indicator of whether my patients succeed or fail at their detoxing is simply whether or not they do this step! I think it has to do with the feeling of going to the fridge and either looking at all the things you can't eat OR simply pulling ingredients and getting down to business. As an aside, this single strategy has saved me hundreds of dollars on groceries and allowed me to “afford” that healthier higher quality food. Save money, eat better quality food, and eliminate the “What's for dinner tonight?” question... if you are not sold on this now... you're lost to me. If you need help with how to meal plan... I've actually created a wicked blog post with a set of instructions you can follow. OK, so if a kid's throat is closing over due to a peanut... what's the first thing you do? Remove the peanut! Then call 911, but I'm pretty sure most of us would remove the peanut first. 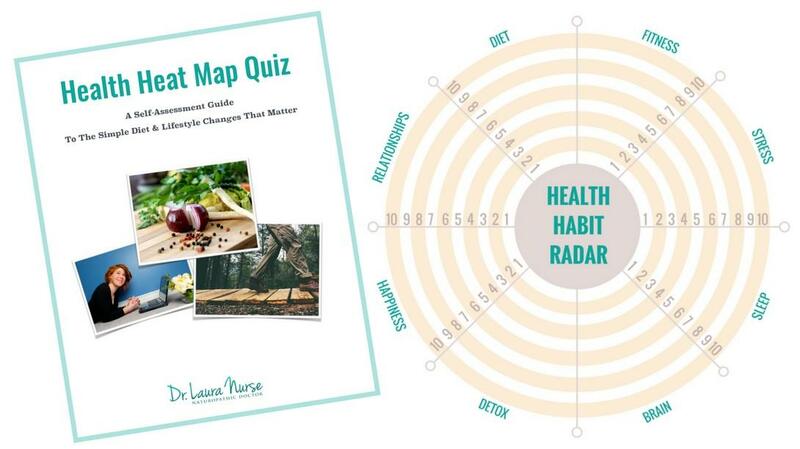 What's making you sluggish, clouding your thinking and mood, giving you dull skin, and ruining your toilet time experiences? Probably something in your food is contributing. So... there are some obvious no-no foods – desserts, alcohol, junk food... maybe more depending on your allergies and sensitivities. Think about it... your gut/abdomen/stomach is literally the center of your body and it feeds your bloodstream. Where there's smoke, there's fire. Well... more like inflammation... but maybe I'll tell you about that later. My point is... stop feeding the fire and the smoke will clear! Stop feeding yourself the problem foods and you'll stop feeling some of your symptoms. The second easiest way to do this, besides meal planning? Just get them out of your kitchen! Toss 'em baby. Don't worry about “wasting money”... you're new meal planning habit has that under control, right? Besides, there is nothing quite as satisfying as a clean slate to begin a new year! OK... I get it, this seems like a lot of work so far. You're right. It is. But not as much as you might think... still the thought of just buying one of those detox products seems SO. MUCH. SIMPLER. Tempting isn't it? I've done it, let me save you some money and aggravation... Fat cells are like your bodies closets... Look there is a reason our bodies have “closets”, they hide and store the things we can't deal with right now. But detoxing is about cleaning... so what do you do when you clean out a closet? You start at the door and work your way back... The problem with many detox products I see on the shelves is they simply have this the other way around. Pulling everything out of the closet and throwing it all over the place is not going to help you if you don't have the garbage bags & exits ready to go. The good quality products work by up regulating your body's deeper cellular detox processes... If the garbage disposal system of your body ain't working... you're just going to feel pretty crappy. Literally like poop, because you need to... but you know... can't. Now... there are some products out there that will make you poop like crazy too... also not an overly pleasant experience. Moreover, they just aren't safe to be using without a doctor's guidance/over sight. Whether you are in generally good health or not, I have known these products to activate gall stones, kidney stones, IBS, and other underlying gastro-intestinal conditions in my patients. It's just not worth the risk considering we can do this with changing your food choices for a week, imo. Since I don't want to do what I did after my first detox and go out and celebrate with a big plate of every no-no thing on the list. I'm warning you... this is not a good strategy. Truth be told... I was so stubborn that I couldn't admit I was actually feeling better after my first 7 day detox in Feb 2006. I really honestly felt “the same”. So of course, I defiantly went and ate everything I had denied myself for the week... that's when I realized I was feeling a lot better. Up until that “meal” at least... lol. I thought everyone had what I called “my morning belly” - a daily painful, urgent, and messy trip to the ladies room. I honestly thought that's what all the “good BM” sentiments were about. Shortly after that meal (which was not breakfast) I had “morning belly” again. What a rude awakening that was. Anyway... I have since discovered I have a food sensitivity (not an allergy) to dairy. The moral of the story is that I want to warn you to bring the foods back in slowly and systematically if you are going to bring any that you have eliminated back in. Honestly, if you've kicked the sugar habit, why bring it back in... but if we're talking... say gluten... well... day to day life might be easier for you if you can eat it. So that's it! 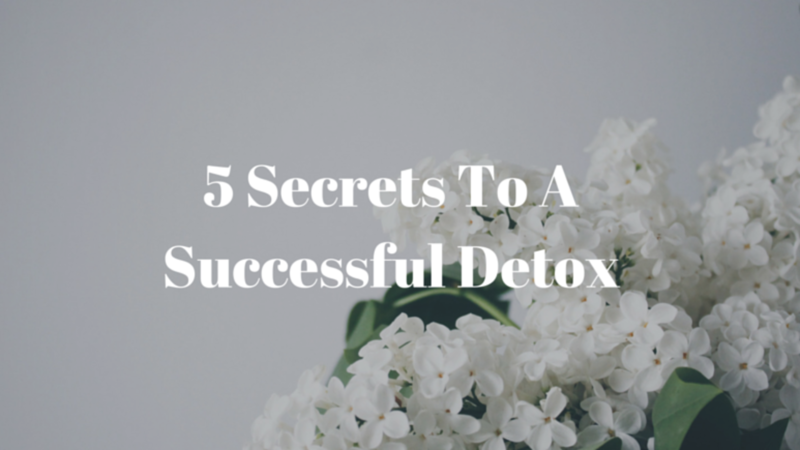 My top 5 strategies for detoxing successfully at home. They are my personal strategies (learned the hard way), and I am delighted to share 'em with ya! So if it's your plan to get healthy this year, consider detoxing before you even go get that gym membership you're guilting yourself into. You need the energy to work out with first don't ya? Lol. If you are ready to do this thing... 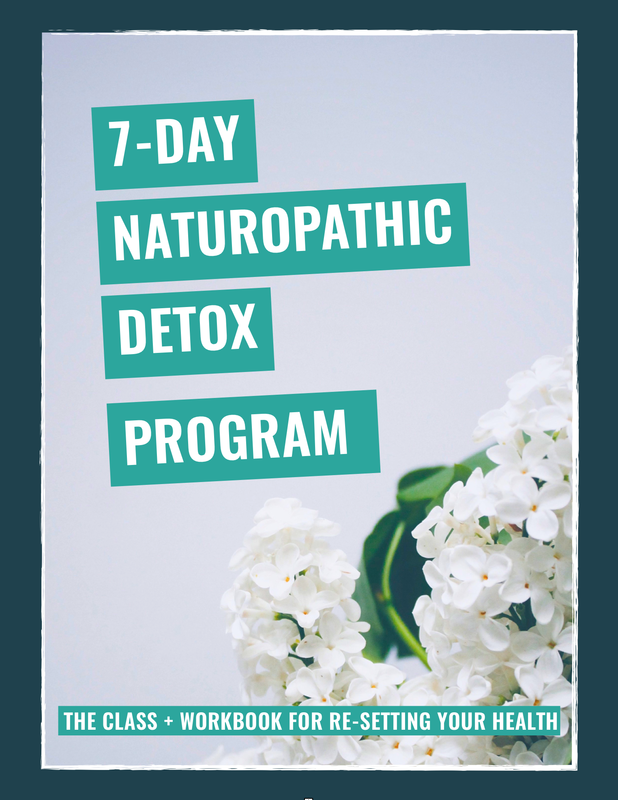 I run an online 7 Day Naturopathic Detox Program you can start any time. Course material - including my brand new fancy-pants workbook - will be available immediately. I'll be doing the detox too... so there will be lots of support online. 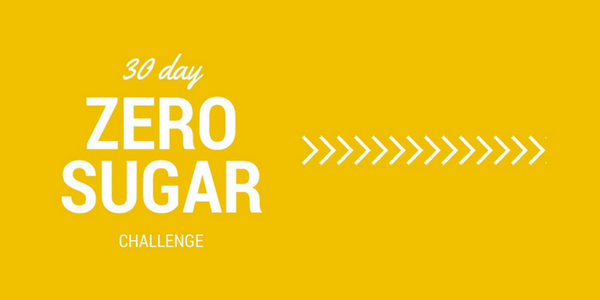 How's that for a "get healthy" resolution kickstart?! 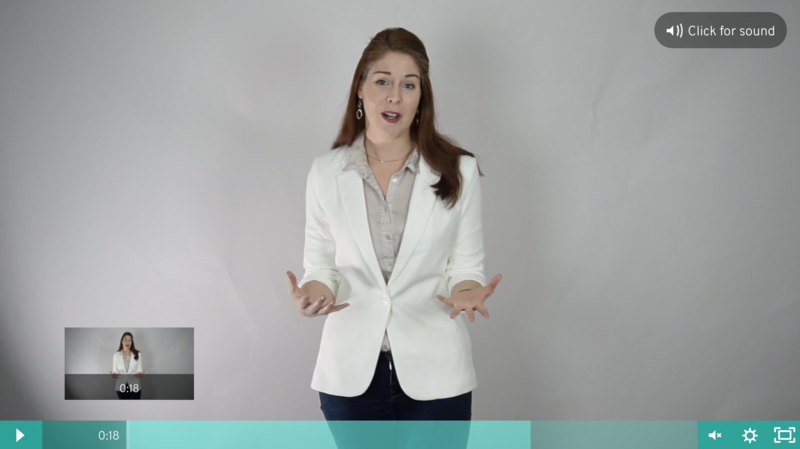 This is a 100% online class. It's ALL food based. No weird herbs or things to make you poop. You won't go hungry, this is not about caloric restriction. It's about eating healthy foods. Eat as much as you like, just eat the right foods. Class registration includes workbook, videos, and community discussion and direct email support from me. You need to commit about 20-30 mins per day for the duration of the week to absorb the material.